I did one of these a while back, but I figured it was time for an update. It's been a while since I've had a chance to blog. I've seen a few things that piqued my interest, Inception, the most recent episode of Mad Men and reading the last volume of Scott Pilgrim, but it's been mostly business these past few weeks. The big event was my trip to San Diego Comicon, an amazing time for a variety of reasons. I was there for two main reasons, first was the panel for Grant Morrison: Talking With Gods. That was a huge success, we had 400 people in the audience, got a bunch of great audience questions and all our clips went over well. It was really encouraging to get that kind of response since the film has been in editing so long without getting that much feedback from the general public. Hopefully the finished product will go over as well. It's pretty weird being a panelist, but I really enjoyed it and felt like there was a good rhythm between the audience and Jordan and I on stage. It was also really exciting to have Frazer Irving guest on the panel and give us some insights. Grant himself didn't make the panel, but I did spend all of Friday following him around and shooting stuff for the doc. We also screened the current cut for Grant at his house on Wednesday, which was a surreal, but exciting experience. He enjoyed it, though he did point out a few factual inaccuracies that we've got to take care of. That was definitely a life high point, to be sitting there talking with Grant about my film of his life and throwing ideas back and forth about it. Other than that, I was shooting some interviews for the Warren Ellis doc, and a couple more pickups for Grant. You can catch part of that chronicled in Heidi MacDonald's report on the con, in which Jordan and I are given aliases to hide our food scavenging! I can definitely sympathize with her exhausted sentiment about the con, but I was much better prepared this year than last, and in general had an absolutely awesome time. It's not every week that you get to have lunch with one of the artists from The Invisibles, trail Grant Morrison for four hours, and talk with one of the voice actors from End of Evangelion. I had a lot of really great conversations, and met a lot of awesome people. The stereotype is definitely the nerdy Comicon attendee, of which there are many, but there are also a lot of really cool, motivated people who are on their way up in various creative fields. So, I had a fantastic time and can't wait to get back out there next year. I even got into Hall H on Thursday and caught an awesome panel with Joss Whedon and JJ Abrams. Speaking of Joss Whedon, I also got the chance to interview Amber Benson for the Grant doc, which was great. She's very cool in person, and told us of her crying during We3. I also want to point to Sequart's recently announced Watchmen anthology, featuring an essay by me on the Watchmen film and what it reveals about the comic. 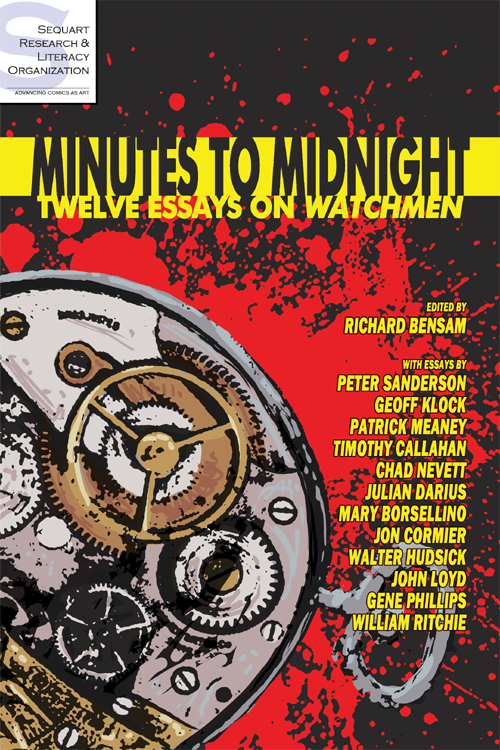 The book features essays from a lot of great comics minds, and should be a really fun read. It debuts at Sequart's New York Comicon booth, where I'll definitely be hanging out, signing some books if anyone wants them. 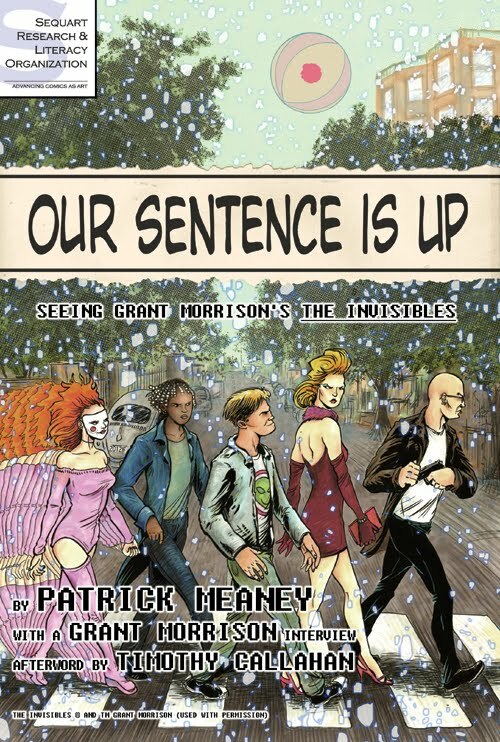 Also, if you haven't picked it up yet, Our Sentence is Up, my Invisibles book, is now available on Amazon.com. I'm really proud of it, and would definitely recommend it to anyone who's read the series. The Grant film will wrap editing on September 1st, at which point I'll hopefully be able to blog some more, though I've also got to get into editing on the second volume of The Third Age, and work more on the Warren Ellis film. The Ellis film is going to be a pretty radical approach to documentary, very different from the Morrison one. 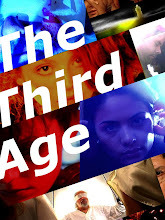 That will likely be released in October 2011.